After my two favorite shelter magazines went under, I thought I would never find anything to replace them. I love online magazines but they just aren't the same. Now, we are getting an addition to the print magazine world that looks like it is going to be amazing! 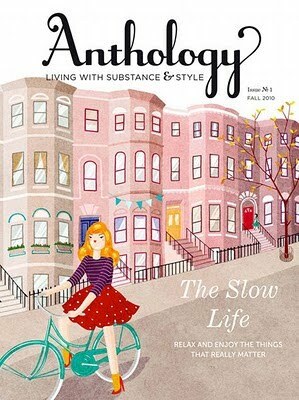 Anthology, founded by Anh-Minh Le and Meg Mateo Ilasco (of Craft, Inc.), is a new quarterly shelter and lifestyle mag. You can read more about the magazine here and get a preview of the first issue here. I already requested a subscription and absolutely cannot wait to get my hands on the first issue.